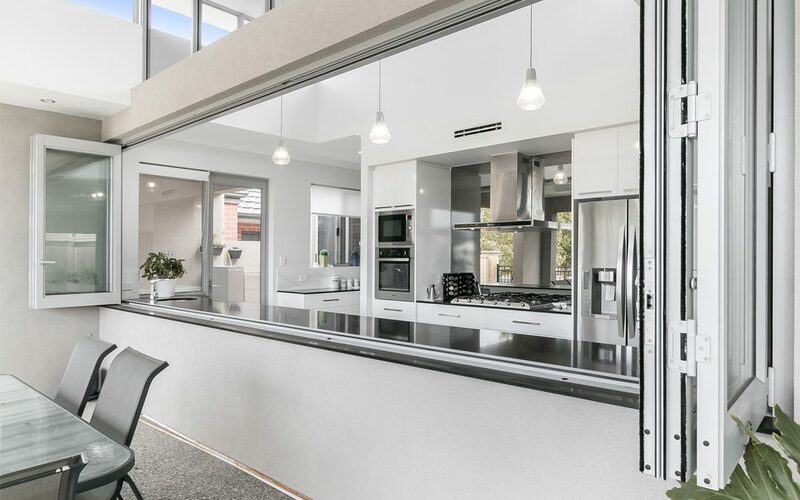 Designed by the founder of North Coast Design, Francis Robinson, this modern home showcases a highly functional chef’s kitchen and a visually cohesive en suite. Catering for the clients’ social lifestyle, the kitchen comprises a hidden pantry and scullery, which conceal mess from guests. 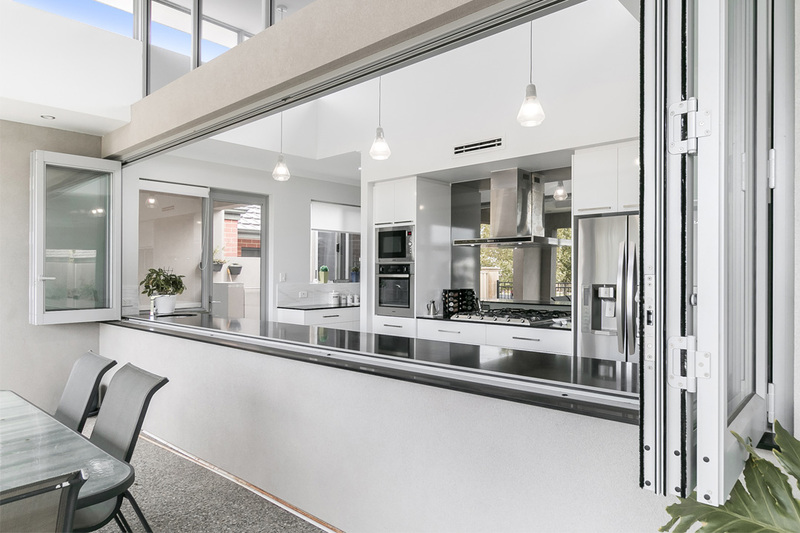 Large servery windows combine the space with the outdoor entertaining area. Featuring high-positioned windows, the kitchen is bathed in natural light throughout the day and stays well-ventilated. 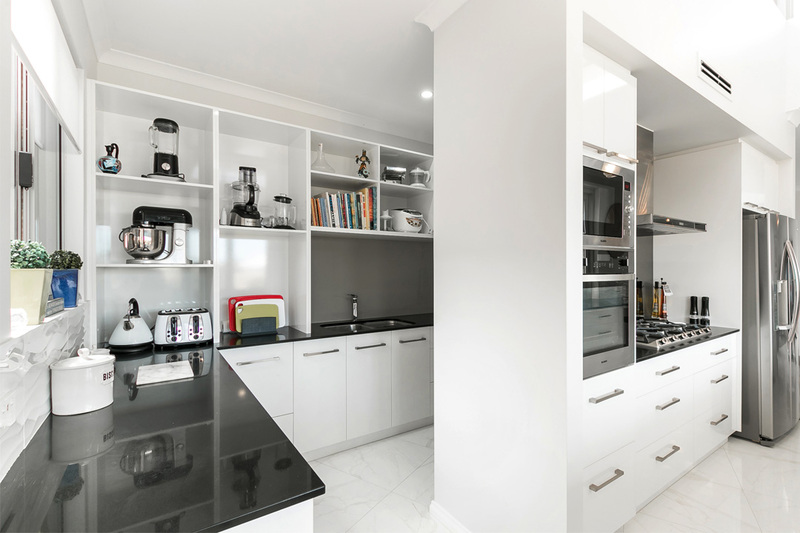 Complete with a glass splashback, stainless steel benchtops and white cabinetry in a gloss finish, the kitchen has a minimalistic aesthetic that perfectly meets the clients’ brief. With a well-designed layout, which includes a side-entry door that leads to the outdoor area, the kitchen is an entertainer’s dream. 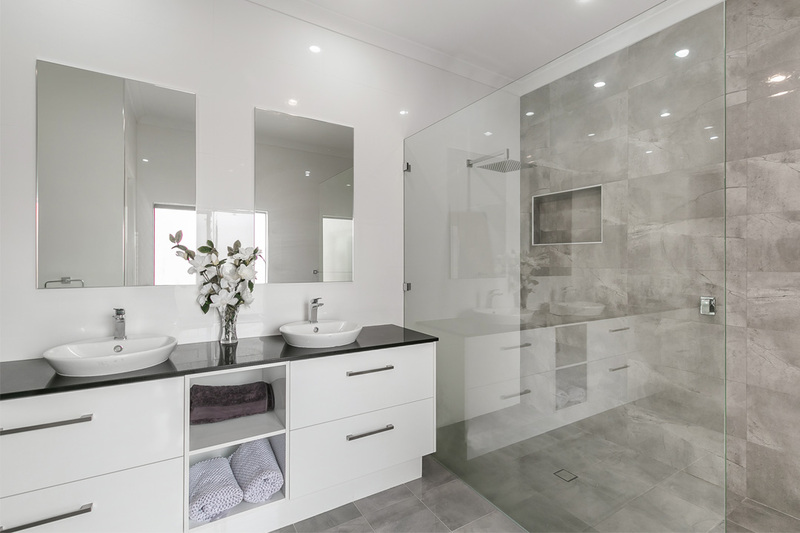 Showcasing an expansive shower with a built-in niche, the en suite exudes high-end luxury. The floating vanity unit includes two sinks for everyday convenience, while the glass showerscreen offers spacious visual appeal. 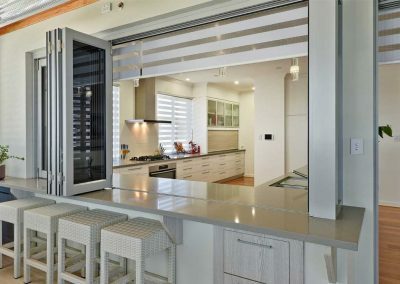 Specialising in drafting for commercial and residential projects, North Coast Design brings its high-quality services to clients throughout Western Australia. With more than 25 years of experience in the home design industry, Robinson leads a qualified team that deliver outstanding results in every project. Not limited to kitchens, North Coast Design can also complete architectural and structural drafting and designs for almost any project, including new homes, pools, renovations and retaining walls.